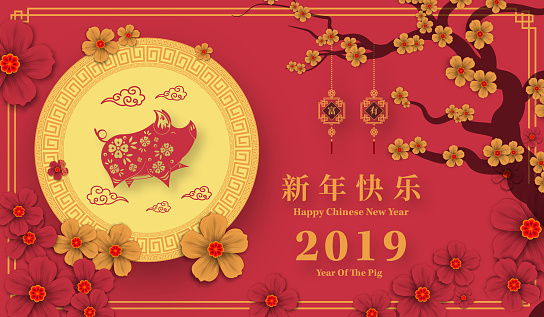 February 5, 2019 marks the first day of the Lunar New Year or Chinese New Year. The holiday begins on the night of the first new moon of the year and continues for the next several days, as the moon gets fuller. For this reason, the holiday can occur in January or February, depending on the year and phase of the moon. During this time, people celebrate with family by decorating their homes, eating special foods, and attending festivals. They also do lots of cleaning, as this time of year marks the arrival of spring, and springtime is known for renewal.